What began twenty years ago as a single nursery for around twenty children in the village of Sherington near Milton Keynes is today a major business. As Childbase’s chief executive officer Mike Thompson explains, his company now operates forty-six nurseries for children across the whole of south-eastern England, employing 1,600 staff and turning over around £25m a year. Childbase’s growth has been dramatic and Mike Thompson is clearly proud of what has been achieved. But he is just as proud of the radical change in the long-term direction of the organisation, designed to carry Childbase forward into the future as an employee-owned business. Childbase’s last AGM saw the company adopt new memorandum and articles of association, which commit the directors to acting in the interests of the firm’s employees, present and future. For much of its early history, Childbase was a family business – Mike Thompson was in day-to- day charge and his father Sir Peter Thompson was the chairman. The Thompsons were the major shareholders, although the company also had a number of external investors, mainly friends and former work colleagues who chipped in some capital in the early days of the business. But over the past ten years this has changed. Staff at each of the nurseries have been encouraged to acquire shares in the venture, initially on a “buy one, get one free” basis, but most recently on a three-for- one basis. Close to 50% of the shares are now held either by individual employees or by the Employee Benefit Trust, whilst the Thompson family holding is down to around 28%. The target for the next decade is to see the employee share holding increase to 100%. As Childbase’s web site puts it: “There are several reasons why shared ownership is good for everyone at Child Base. Firstly, a spread of ownership secures the company’s long-term future. For instance, the company can only be sold to a third party if the majority of shareholders want it to be. Secondly, shared ownership is a great motivator to everyone to make the company a success – because that success is shared.” As Mike Thompson points out: “When people receive the share certificate they think, well, OK, but when the dividend cheque arrives they love it,” he says. Nevertheless, Mike Thompson says that it is taking time for the message of employee ownership to get through to people. “The educational process is tough, very hard work, but at the end of the process we’ll get where we want to be,” he says. Childbase organises share dealing days twice a year, in May and November, when shares can be bought or sold at the value set by the company’s accountants. The new memorandum and articles of association sets a maximum individual holding eventually of 2.5%. Childbase claims that its rates of pay are some of the highest in the childcare sector, and staff are given extensive training and encouraged to build their career with the company. Prizes for the best employees and best overall nursery are awarded each year at the Annual Ball. But for Mike Thompson, the employee ownership aspect of Child Base is central to its efforts to make the company a good place to work – and by extension, a good place for parents to leave their children. 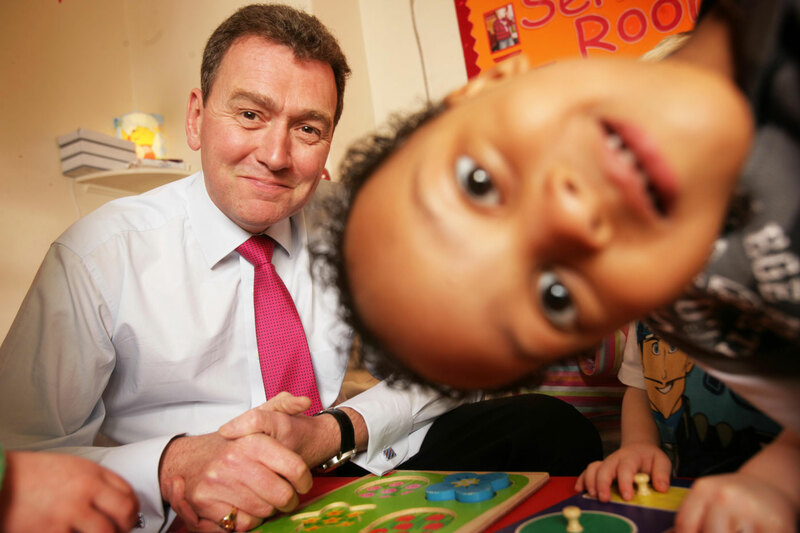 One in four of its nurseries are rated “outstanding” by Ofsted, compared with an industry average of one in 50. Childbase now includes elected representatives on the Employee Benefit Trust, and as Mike Thompson points out, these days he has to justify his position as chief executive by ability and not simply by the size of his share stake. Childbase’s profits, currently around £2m a year, have provided a mechanism for the company (via the Employee Benefit Trust) to buy out some of the existing shareholders, including part of the Thompson family’s own holding, an arrangement which Mike says offers investors a fair and equitable exit route. Arguably, a sale of Childbase to one of the other large child nursery providers might have valued the business higher than the new arrangements. But for Mike Thompson this is not the point – he talks of his own legacy from his involvement in Childbase being the satisfaction which comes from building a successful business where the people who have worked with him receive some of the benefit as well. “I think it’s fairer, and it makes my life happier,” he says simply.